This series of Multidisciplinary Conferences on Sinkholes and the Engineering and Environmental Impacts of Karst was founded in 1984 by Dr. Barry F. Beck, who was then Director of the Florida Sinkhole Research Institute at the University of Central Florida in Orlando. Barry continued to organize and lead this conference series while serving as Vice-President for Karst and Chief of Operations for the Oak Ridge, Tennessee, office of P.E. LaMoreaux & Associates, Inc. (PELA). Barry was the primary force behind the first 11 “sinkhole conferences”. In 2009, a stroke interrupted his planning for the 12th conference in January 2011, and medical complications from that stroke ultimately claimed his life in November 2011. This memorial page celebrates Barry’s life and the legacy he left for those who live and work in karst. It also introduces him to those who never had the pleasure to know him. Those who did know Barry are encouraged to share their remembrances by leaving a comment below. The Barry F. Beck Sinkhole Conference Student Scholarship has been established in his memory. Click for more information to contribute or apply for the scholarship. The following obituary appeared in the August 2012 issue of NSS News and is reprinted here with permission. Dr. Barry F. Beck passed away at the age of 67, following a series of severe blood disorders and a brain stem stroke. The stroke in 2009 left him debilitated with "Locked-in Syndrome." Born in Hershey, Pennsylvania, Barry was raised by his parents, Daniel and Verna Beck, in an economically challenged neighborhood in Rochester, New York. He earned a Bachelor's degree in geology at Rensselaer Polytechnic Institute, followed by Master's and PhD degrees in geology from Rice University, Texas. His thesis and dissertation focused on the caves and karst of central Texas. The beginnings of Barry’s interest in caves and karst are uncertain, but that interest grew during his time at Rice University in the late 1960s. He was an advisor to a Boy Scout Explorer Post from the Houston area and led them on caving trips in Texas, Mexico, and other areas. In July 1969, Barry joined the National Speleological Society (NSS) and the Texas Speleological Association, where he served as chairman in 1971. He was instrumental in founding the short-lived Rice University Grotto and was a member of the Texas caving organization known as Carta Valley S.U.C.K.S. (Society of Underground Cavers, Karstologists and Speleologists). Foreshadowing events to come, Texas cavers bestowed Barry with the nickname “Rain God” because his participation in numerous caving trips seemed to invite heavy rain and associated challenges. During one expedition, several vehicles were washed from a campsite and nearly floated down the Colorado River, after which he was presented with a high water warning device. After receiving his PhD in 1972, Barry's interest in caves led him and his family (including first wife Pat and son Erik) to Puerto Rico, where Hans and Jenny were born. In Puerto Rico, Barry worked for the Department of Natural Resources, conducting investigations in tropical karst and assessing the commercial potential of the Aguas Buenas Caves. He was active in the study and exploration of the Rio Camuy Cave system and studied the sea-margin caves on Isla Mona. Barry also hosted numerous expeditions for cavers exploring Puerto Rico and provided lodging (sofas and floors at his house) and transportation. Barry played a significant role in the attempt to rescue Francis McKinney, who fell 75 feet to his death while climbing from a pit in the Rio Camuy Cave System in 1975. In 1976, Barry joined the Georgia Department of Natural Resources in Atlanta, where he applied electrical resistivity geophysical techniques to the detection of caves and other karst features. Subsequently, he moved to Americus, Georgia where he taught geology, hydrology, and geomorphology at Georgia Southwestern College (now known as Georgia Southwestern State University). He also met Dr. Penny Lukin, who would become his second wife and the love of his life, and had two more children, Daniel and Sonja. During the late 1970s and early 1980s, Barry served as a review/associate editor for the NSS News and exploration editor for the NSS Bulletin. He was selected as a Fellow of the NSS in August 1977. 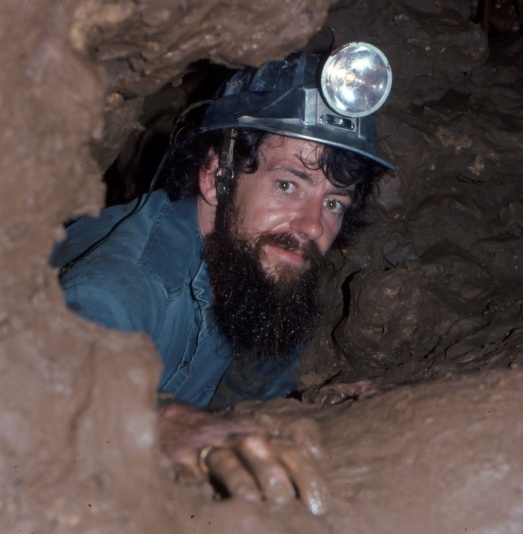 Barry authored An Introduction to Caves and Cave Exploring in Georgia in 1980 and edited the proceedings of the Eighth International Congress of Speleology in 1981. In 1981, Barry became the first and only director of the Florida Sinkhole Research Institute at the University of Central Florida in Orlando. In that capacity, Barry applied his research to the geotechnical and environmental issues associated with sinkhole collapse, land subsidence, and karst groundwater flow. In 1984, he organized the first in a series of Multidisciplinary Conferences on Sinkholes and the Engineering and Environmental Impacts of Karst™. The first four “sinkhole conferences” were held in Florida. In 1992, Barry joined P.E. LaMoreaux & Associates, Inc. (PELA), where he served as Chief of Operations for the Oak Ridge office and Vice-President for Karst. He managed a variety of sinkhole and karst consulting/research projects throughout the U.S. and around the world. He authored or coauthored numerous technical papers and articles on karst topics. With significant support from PELA, he continued to direct the sinkhole conferences, edit the proceedings, and host the meetings in karst regions around the U.S. Barry was the primary force behind the first 11 “sinkhole conferences”. His stroke interrupted his planning for the 12th conference, which was held in St. Louis in 2011. The National Cave and Karst Research Institute (NCKRI) is taking the lead to continue Barry’s legacy, hosting the 13th conference in Carlsbad, New Mexico during May 2013. Barry was a member of the East Tennessee Grotto and explored caves in east Tennessee, as well as those associated with his project work around the world. In 2004, the NSS presented Barry with an Honorary Membership for his lifetime of contributions to the study of speleology and karst. In addition to his professional endeavors, Barry was a loving father to Erik, Jenny, Hans, Sonja, and Daniel. He was an active, energetic, and passionate individual, biking or running almost daily. He was also an avid hiker and tennis player. Barry and Penny shared a passion for dancing, specifically clogging and various forms of folk dancing. At one time, Barry served as President of the Muckalee Mudstompers, a clogging group in Americus, Georgia. Barry loved to explore the world through travel, visiting karst regions in China, Guam, Italy, eastern Europe, Russia, Kuwait, and Argentina. In 2010, the Weather Channel devoted an episode of "Storm Stories" to an incident in which Barry lived up to his “Rain God” nickname during a March 1979 trip to Anderson Spring Cave in Walker County, Georgia. Barry and six of his students from Georgia Southwestern, spent 28 hours trapped underground when heavy precipitation caused flash flooding that completely submerged the cave’s only entrance. Interviews shown in that documentary were recorded just days before the stroke that would trap Barry in his own body for the final two years of his life. Barry leaves behind family, friends, and associates that will miss him and remember him fondly. His contributions to caves and karst will continue. Memorial contributions may be made to the Nature Conservancy and earmarked for the Barry Beck Memorial Fund, which is designated for preservation of karst areas and research on caves and sinkholes. Memorial contributions to the Barry F. Beck Sinkhole Conference Student Scholarship will support the participation and professional development of at least one student at each conference.